County officials announced on Wednesday that Moody’s Investors Service rated Rockland’s Tax Anticipation Notes (TANs) MIG 1, the highest short-term rating assigned by Moody’s to Notes. This is a first for Rockland County since its severe deficit position in 2011 and comes on the heels of its seventh consecutive bond rating increase in March. “That will only happen if we stay the course and continue what we have been doing all this time. We spend our money like the residents of this county spend theirs. We are conservative, we do not take unnecessary risk with people’s money, we will not engage in nor allow for a reckless return to the budgeting practices of the past,” said Day. For a $60 million Tax Anticipation Note the difference between a MIG 1 rating and our previous rating (unrated) is a savings of approximately $90,000 on debt service, according to Rockland Commissioner of Finance Stephen DeGroat. “The current rating of our Notes to MIG 1 will now allow many institutional investors to purchase our paper. Many institutional investors are restricted from purchasing non-rated paper,” said Commissioner of Finance DeGroat. 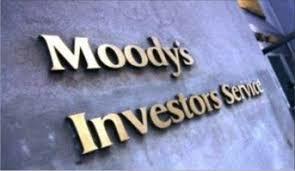 Moody’s also reaffirmed Rockland County’s A2 Bond Rating and noted a stable outlook.